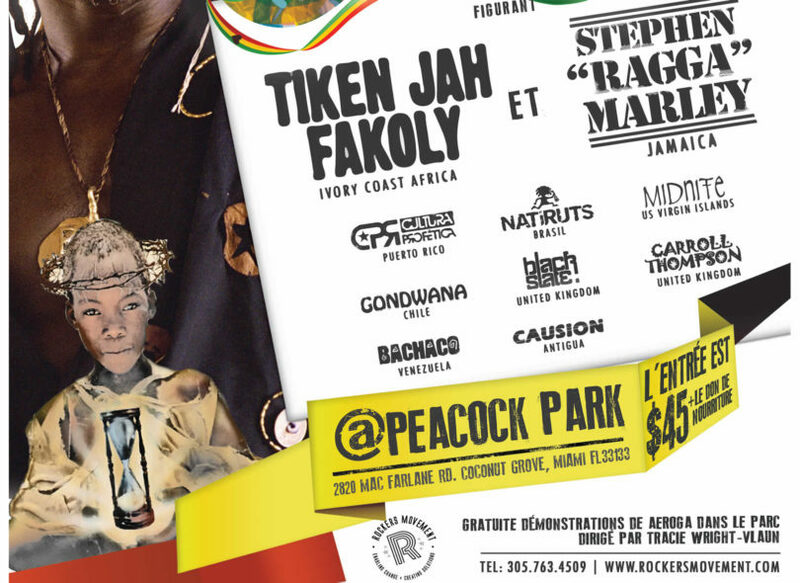 The 4th Miami Reggae Festival returns to the Peacock Park in Coconut Grove on November 23, 2013 from 1 pm to 11 pm -a part of the sales will go to the TECHO charity. 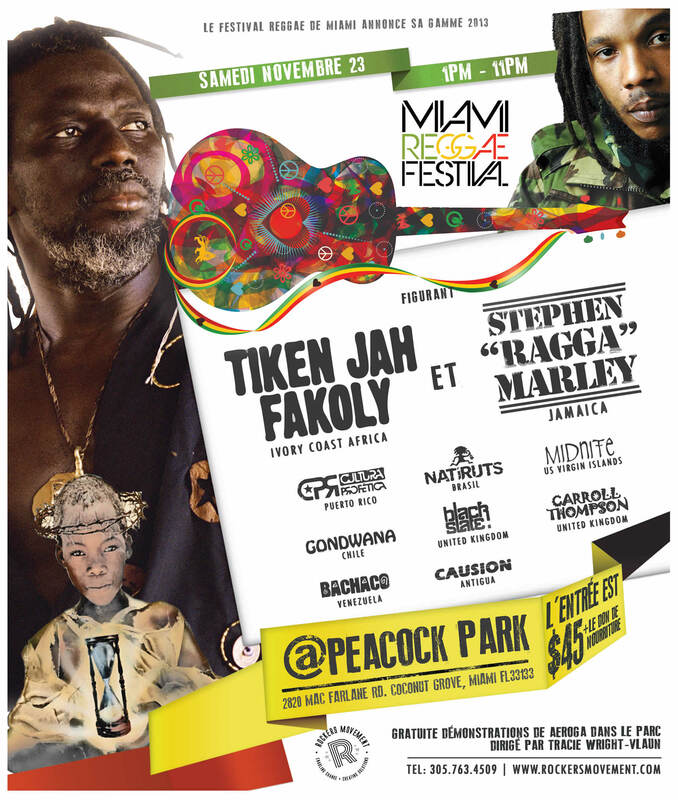 Organized by Rockers Movement, Miami Reggae Festival will be happening on November 23rd, 2013 at the Grove, and showcases a global mix of musicians. Words, sound and art mingle and the event highlights the Jamaican reggae progeny, Stephen “Ragga” Marley and Tiken Jah Fakoly of Africa’s Ivory Coast, Cultura Profética from Puerto Rico, Natiruts of Brazil, Midnite from St. Croix USVI, Gondwana of Chile, Black Slate Carroll Thompson of the United Kingdom, Bachaco of Venezuela and Causion from Antigua. The event also features DJ performances from Don One Musical Showcase, Cornerstone Sounds & DJ Majestic as also MC Lance O of Kulcha Shok Muzik. Rockers Movement will donate a portion of the revenue after sales of tickets to the charity “TECHO”. This non-profit organization is mainly run by young individuals who seek to help overcome poverty in Latin America and the Caribbean by building houses in the slums and by developing a strong sense of community. 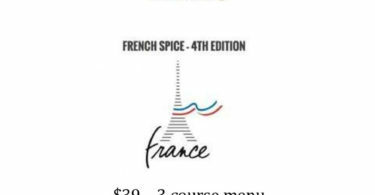 General Admission: $45/ VIP $75/ free for children below the age of 12 years. Free entry before 3 pm with a minimum donation of 2 cans of non-perishable food items. 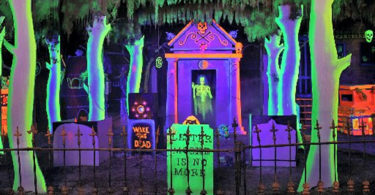 Last chance to indulge in fun Halloween things in Florida!